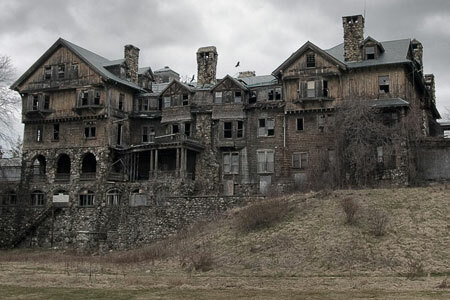 The exterior of Blackflame Manor has always been somewhat decrepit and windswept. Though the manor is in the middle of a vast clearing of lush greenery, the ground is cursed and unfertile. The earth is littered with dead shrubbery and devoid of living things; some say this is due to dark magic tainting the land during the manors construction. 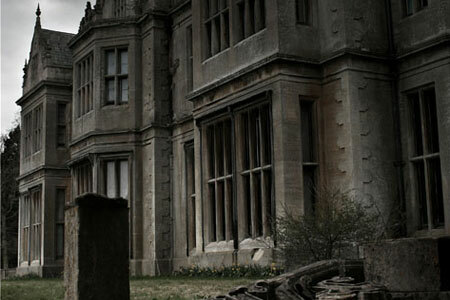 The manor is built of stone and resembles a somewhat classical gothic style. The sheer size of Blackflame Manor can seem fairly intimidating to the inexperienced, yet for every ounce that is seen with the untrained eye, there is twice the space, secret tunnels and passages. It is important to remember this manor is of dark origin and intent. The sprawling complex is filled with a vast number of rooms to accommodate the large numbers of the clan. It also boasts a great library, several sitting rooms, fireplaces, private apartments, dining halls, wine cellar, and many other mysterious and ominous rooms. Blackflame Manor's interior is richly decorated. Great time and care has gone into every detail of this massive home. In the main sitting area the staircase to the second floor wraps around the room, giving the room a very open and airy feel. No expense has been spared; the floors in the manor are either carpet or marble – also richly decorated. The balcony that overlooks the first floor's main sitting room contains a small lounging area, composed of a few chairs and a table. Below the balcony is a bar area, housing different types of alcohol, from beers, to wine, and hard lacquers – it can all be found here. Throughout the home there are many sitting areas with grand windows, counters sprinkled with candelabra, the ceilings with ornate chandeliers, and the halls strewn with sconces – all burning an unnatural flame. The furniture style is typically more old-world felt and less modern. The solitary halls of the manor are lit with the somewhat dim sconces that are mounted along the walls throughout the home. Most of the halls in the manor tend to be long and give a fairly menacing feeling. For the family members that live in the home it is all quite inviting, yet to the outsider this could be a horrifying experience. The basement area of the manor is enormous and several of the halls lead to the catacombs scattered under the foundation. The cellar houses a vast wine cellar and the inter dimensional portals created by Dante. You can have more than one character, but you will need to register a seperate username for each.